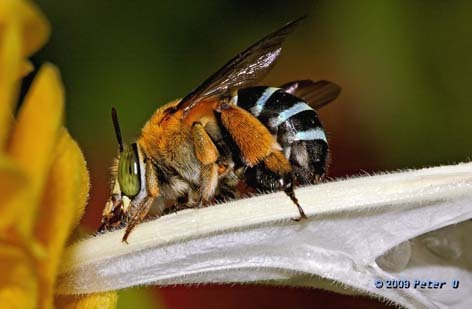 Above: a stunning shot of a Blue Banded Bee balancing on its jaws as it rests on a roost. 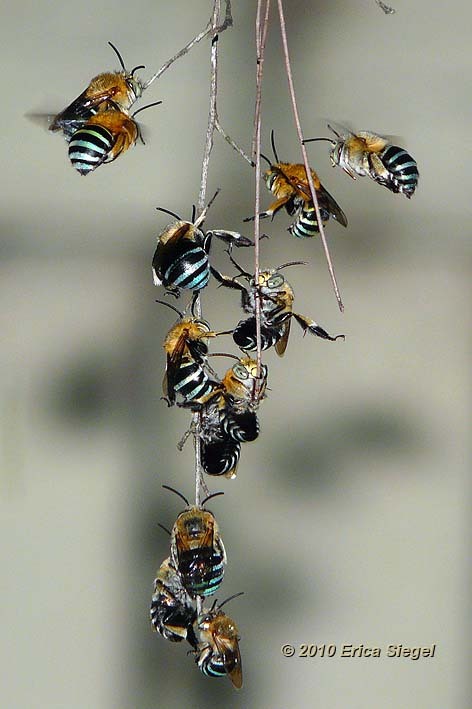 Above: a group of Bluebanded Bees (Amegilla) coming in to roost in the evening. 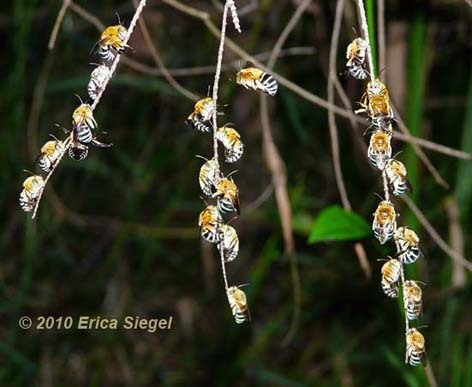 Erica won second place in the 2009 Redland Photographic Competition for this wonderful image. 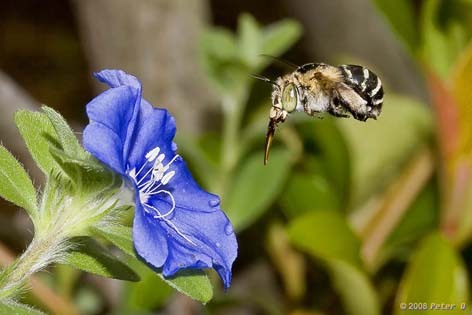 More Stunning Photos of Blue Banded Bees by Erica Siegel. 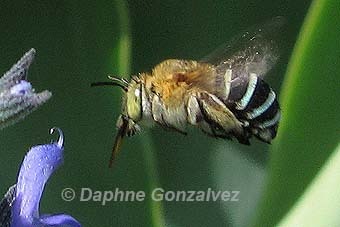 Videos of Blue Banded Bees. 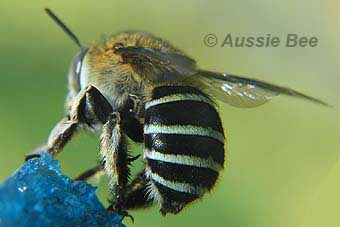 The Blue Banded Bees are around 8-13 mm long and belong to the family Apidae. They are found Australia-wide, except for Tasmania. 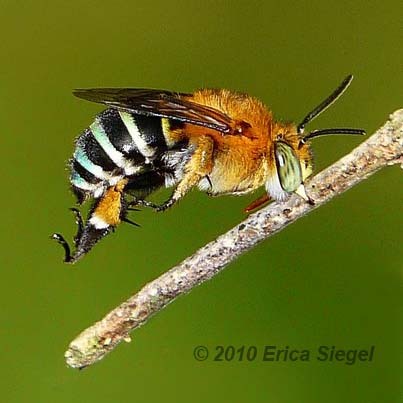 Erica Siegel - Blue Banded Bee 2010 Gallery. 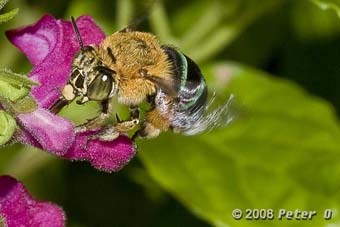 Erica Siegel - Blue Banded Bee 2011 Gallery. 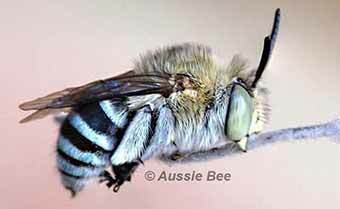 Free Articles on Blue Banded Bees.